"Cannabis: Evolution and Ethnobotany" is a 452 page comprehensive, interdisciplinary exploration of the natural origins and early evolution of this famous plant, highlighting its historic role in the development of human societies. "Cannabis: Evolution and Ethnobotany" is a 452 page comprehensive, interdisciplinary exploration of the natural origins and early evolution of this famous plant, highlighting its historic role in the development of human societies. Cannabis has long been prized for the strong and durable fiber in its stalks, its edible and oil-rich seeds, and the psychoactive and medicinal compounds produced by its female flowers. The culturally valuable and often irreplaceable goods derived from cannabis deeply influenced the commercial, medical, ritual, and religious practices of cultures throughout the ages, and human desire for these commodities directed the evolution of the plant toward its contemporary varieties. 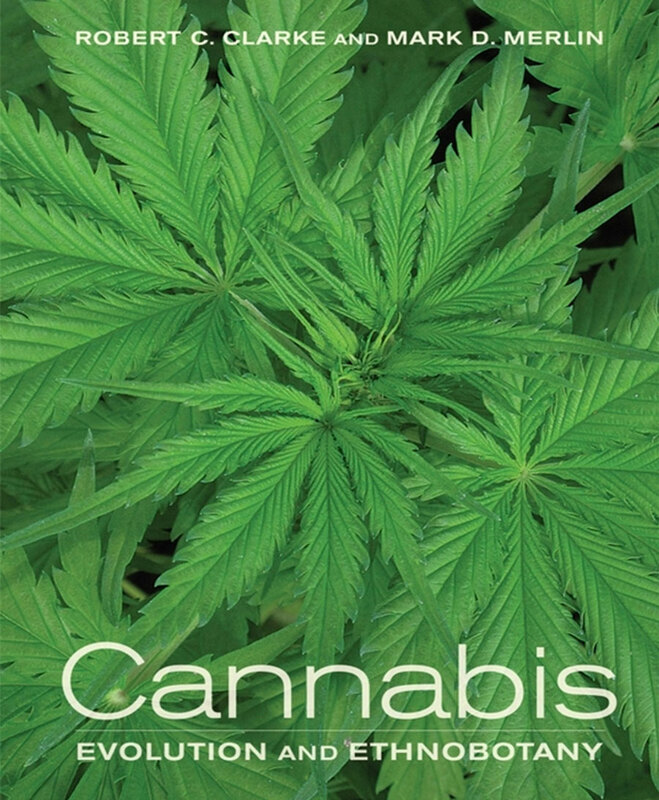 As interest in cannabis grows and public debate over its many uses rises, this detailed hard-cover book helps us understand why humanity continues to rely on this plant and adapts it to suit our needs. Robert C. Clarke is cannabis researcher and Projects Manager for the International Hemp Association in Amsterdam. He is author of "Marijuana Botany" (1981) in which he presented, to both experts and the general public, scientific knowledge and propagation techniques used to preserve and multiply vanishing Cannabis strains. In 1998 Clarke published "Hashish!" , a beautifully illustrated book on the origins, history, consumption, production and chemistry of this substance. The author also collects hemp textiles and has carried out field research in many regions during the past twenty years studying hemp cultivation, processing and weaving from seed to clothing. "Cannabis: Evolution and Ethnobotany" is co-authored with Mark D. Merlin, who is Botany Professor at University of Hawai’i at Manoa and author of "On the Trail of the Ancient Opium Poppy". Cannabis: Evolution and Ethnobotany [Hardcover] is added to your shoppingcart! Cannabis: Evolution and Ethnobotany [Hardcover] is added to your wishlist!